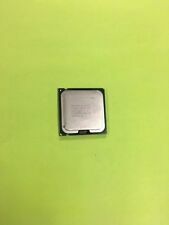 Socket Socket 775 / LGA775 / T. Model number 945. Type CPU / Microprocessor. 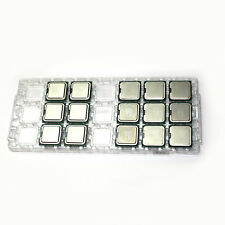 CPU part numbers. Processor core Presler. The number of CPU cores 2. Clock multiplier 17. Core steppings C1 (QRLS, SL9QB). Socket LGA 775. This CPU has been tested in a working system. 4MB L2 Cache. This has been tested and it is in good working order. Removed from a fully working Dell Optiplex 755. ETA 3 to 6 Weeks. Unit Working. Unit shows light scratching and signs of wear device wide. (See Pic carefully When You Action). 1 E6700 Processors. ETA 3 to 6 Weeks. Model: E8200, Speed: 2.66GHz. Model: E7400, Speed: 2.8GHz. Warranty covers hardware issues only and excludes problems caused by abuse or tampering with components. Problems from installing internet service need to be directed to your ISP (Internet Service Provider) directly. Processor Base Frequency 3.40 GHz. Bus Speed 800 MHz FSB. Instruction Set 32-bit. FSB Parity No. Advanced Technologies. Low Halogen Options Available No. Smart Cache: 4MB. Warranty covers hardware issues only and excludes problems caused by abuse or tampering with components. Problems from installing internet service need to be directed to your ISP (Internet Service Provider) directly. PN：500122065. Size: 37.5 37.5mm/each small unit, total 21 small units. 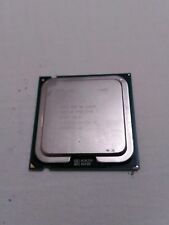 This CPU has been tested and is in working order,Good working unit... unit May have some minor scuffs/scratches. Core 2 CPU/Processors. Dual Core CPU/Processors. Point of Sale. Bare CPU/Processor only. Apple & Mac. Cables Connectors. Power Protection. IBM Servers. Socket Type LGA 775/Socket T. INTERNATIONAL ORDERS. Only what is in the photo is included in the sale. If a part is not shown in the photos, then it is not included in the sale of this item. We are not staffed to research/report compatibility concerns. Model : SLB9L. Processor Only. 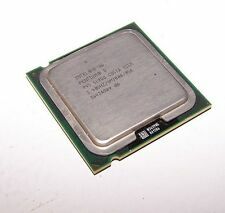 Type: Core 2 Duo 2.33Ghz. We strive to make sure your buying experience is perfect. Item Specifications. See Whats On Sale. But there will be rare occasions when my best efforts are not enough and the item you have received has problems. I am easy to work with. I will do my best to answer promptly. Expansion Cards. - We will not mark any item as a “GIFT”. Notes on sSpec SL9KF. Socket type Socket 775 (LGA775). L2 cache size (MB) ?. Frequency (GHz) ?. Bus speed (MHz) ?. Type CPU / Microprocessor. Processor number ?. Boxed CPU (Without fan). Socket Type: LGA775. Processor Type: 775. It's fun and easy and everyone wins. Otherwise, the order is already on its way. Our approach to tech recycling allows us to utilize perfectly good products that would otherwise head to the landfill.